huckleberrypie Wrote: Not as reasonable as when others get 50MBPS lines for just $50. But switching to fiber is definitely worth it tho. It doesn't go on the fritz when it rains. And the speed isn't best effort like DSL, but is pretty much guaranteed so long as the backbone isn't congested. It makes the likes of MPAA and fiendish corporate Americans look tame in comparison. Hazel has a new companion. I'm almost ready for the big reveal. Must work in Photoshop first. No, Apple, you had it wrong! 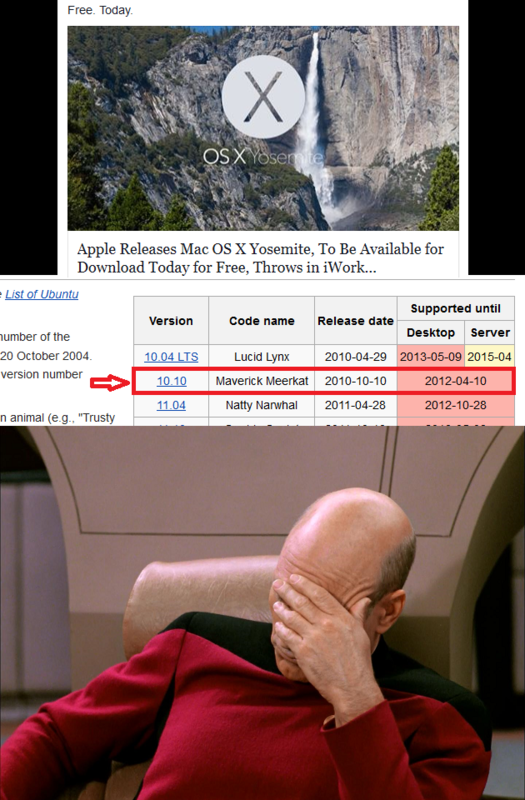 10.10 Should be Mavericks! 10.9 should've been Lucid! Either way, you're still behind! Meet Poppy... Hazel's new companion. Poppy (namesake of said fox from "Pablo the Little Red Fox") is a Digital2 D2-713G Android Tablet. Costing only $44.99 from Menards, she is very basic and limited in power. She does excel at video playback, which is what she will be mainly used for, thus saving space on Hazel's SD card for games. She will also serve as backup if Hazel's battery gets low. Specs are a 1ghz Single-Core Allwinner A13 with Mali-MP 400 graphics and 4gb internal storage. AnTuTu Performance is 4232, which is quite low for games and such, but video playback is excellent. In short... Hazel is still Numero Uno, while Poppy is Numero Dos. One final thing... though not appearing to be a kids tablet on box, it comes with pre-loaded stuff and coloring that would come on such tablets. It came preloaded with 20 kids ebooks, a movie called "Back To The Sea", and Temple Run 2, which actually does run decently. Hazel runs it far better though. Great, now all that's left is to shove in CookedROM into that tab lol. Also, Valve giving away Payday for free!